Writing an eBook and selling it is one of the best ways to make a nice passive income. But to experience the full benefit, it has to be done right. So, if you’re thinking about or already working on your first eBook, here are 13 mistakes to avoid so you can sell the best eBook possible. It would be rather foolish for you to embark on this eBook project without doing adequate research. This includes good research of your desired market and topic. Market research allows you to see what people are interested in and want to read about. Take notice of what is being sold at the moment and commit to putting out an even better product. Even if you are an expert in the field/topic, make sure you have up-to-date information and everything organized. Become an authority so your content will be shared and cited, and avoid ruining your reputation before it’s even built. While you may be great while flowing in your stream of consciousness, you’re better off playing it safe for your first eBook. Just being organized is half the work. Proceed with an outline, that way you have a roadmap and can get right to the point without doing too much circling around. Your topic serves as the main driving force, or the big question you need to answer for your readers. Include arguments and be concise, expressing only the most important things and not wasting time or space. No matter what kind of device you’re using to work on your eBook, make sure your workspace is organized and comfortable. How productive can you actually be while working in chaos and clutter? Just the sight of a messy space can cause frustration and block your creative juices. Bring zen to your writing nook. The basics would be to compartmentalize your papers and office supplies, organize your wires, get a nice comfortable chair, introduce some plants to your room and avoid artificial light. Writing the introduction first might seem like the natural thing to do but it is actually not recommended. Just because it’s the first thing to be read doesn’t mean you have to write it first. If you write your intro first, you will surely have to rewrite it, so why go through the trouble of doing it twice? Writing your intro last gives you an advantage when it comes to perspective, as you’ll know what to tease about and lure the reader in with the first few sentences. Hitting a wall is pretty much inevitable. There comes a point when the process isn’t so glamorous anymore. Writing might get too demanding (especially if you’re not a professional) and you’ll even ask yourself if you’re cut out for this. In times like this, you need to believe in yourself. Look through that wall and see your successful self. It’s easy to quit. But ultimately that causes more frustration and disappointment for you and the people around you. This leads back to re-evaluation of your purpose. Decide if the message you want to share is worth the trouble. If yes, continue working. In times past, the typewriter was the tool of choice for writing. In current times, as technology continues to advance, writers most often use electronic devices to get the job done. If you’re in the process of writing an eBook or have just finished it, it is the most important document on your device. Make sure you perform regular backups and verify that your backups are working correctly. The security of your document is obviously very important, so practice common sense and be careful. It’s best to not try to do everything on your own. For things like design (for your eBook cover and/or sales page), get a professional to help you. You can save a lot of time and keep your focus on writing. Crappy graphics can expose you as an amateur and essentially ruin your reputation as an author. Why risk that when there are professionals working remotely, engaged in graphic design or marketing? Be careful, however, to weigh their prices against the quality of their portfolio. By surrounding yourself with the right professional people, you provide more value to your readers and leave them assured that they are dealing with a top-quality product. The promotion aspect of your book starts long before you have a publishing date. Your readers need to know when the eBook is coming out, what to expect, where they can find it, and how much it will cost. Spark the conversation about your book and make sure it keeps going. The Internet is massive and there are always potential readers to reach out to. If you wait until the publishing date to promote your book, you are way too late. It’s better when your readers have anticipation for its release. Once your eBook is published, there is still more work to do. Your marketing efforts should be in full swing and you should have multiple channels through which you promote your book. One thing you could do is organize giveaways on your website and social media accounts for a limited time. Offering discounts is another good idea. When your marketing is well executed, you’re most likely teamed up with bloggers and vloggers whose influence can help give you an advantage. Don’t make things harder than they need to be. Editing while you write is quite possibly the slowest way to complete a book. Imagine walking to a destination and looking down to analyze the landing of your foot with each step. How long would it take to get where you’re going? Just write, and don’t worry too much about grammatical errors. Get your thoughts and ideas from your mind to the page. Once you’re done, then you can go back and thoroughly edit. Feedback is a must if you want to improve as a writer. It’s also an important part of business in general. Feedback is necessary when it comes to the choice of your topic and the outline of your book. Don’t get too attached to the words you have written. Consider the perspective of the reader and whether your book will be a pleasure to read and ultimately resonate with them. You can have your editor give you valuable feedback. Don’t be one of those selfish people, who get trapped in their own ego and neglect the reader. After all, that’s who you are writing the book for, right? Make sure your book is readable and not a chore to go through. If your eBook is a self-help book, for example, and it comes with tips and schedules for the reader to actively use, give out lists or notebooks with your eBook. Make the reader’s experience one that they can appreciate. It’s never going to be perfect. This is your first go round, it doesn’t have to be. Some errors may get past your editor but that’s fine. Readers won’t scrutinize too heavily for minor mistakes. There will be numerous drafts and you’ll always find something you’ll want to adjust and make better. Make sure you give your reader actionable tips, and not just a long encyclopedia entry. 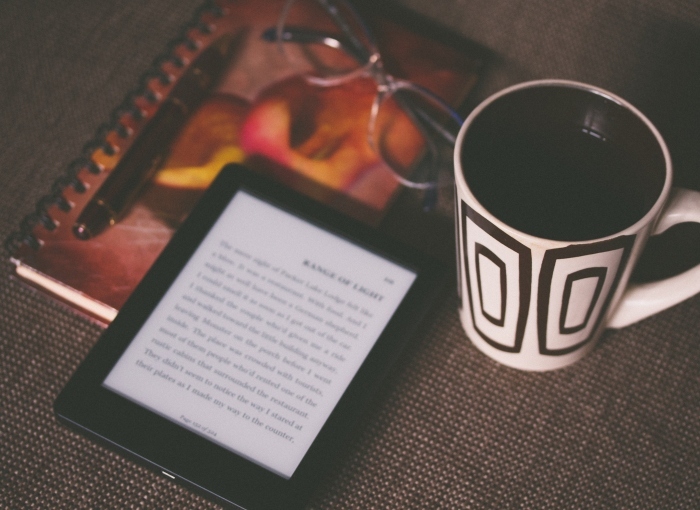 Selling an eBook may seem like a very lucrative opportunity, and it can be, but it’s easier said than done. There’s much more to it than just writing some chapters on a particular topic, releasing the book and raking in money. There’s a process that includes research, outlining, writing, and getting feedback. Don’t get stuck in the idea of writing an eBook for profit. You need to get up, execute, and follow through, never giving up.